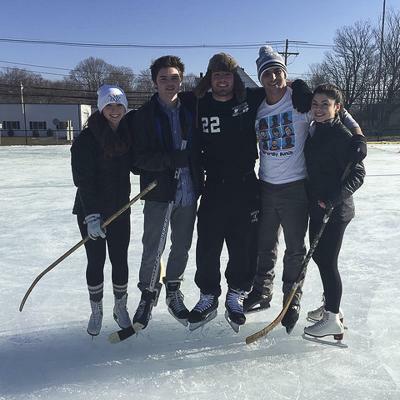 Seniors at HHS Caitlyn Wilson, Michael Sullivan, Andrew Donohue, Christopher Liberta, and Jackie Thompson enjoy the new ice rink during a study. Photo by Jillian Sullivan. 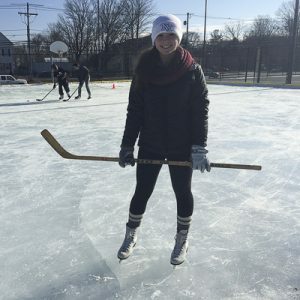 To the excitement of many students at Hopkinton High School, an ice rink was installed on top of the High Schoolâ€™s basketball courts for the winter by Hopkintonâ€™s Parks and Recreation Department. Christa Cosmo, a senior at Hopkinton High School, has been using the ice rink frequently with friends. â€œI absolutely love it. Hopkinton is a small town, so usually when we want to do something, we have to drive to another town. Now, thereâ€™s actually something new and exciting to do right in our town!â€ She said. Senior at HHS Caitlyn Wilson frequently uses the ice rink, especially during free periods at school. Photo by Jillian Sullivan. 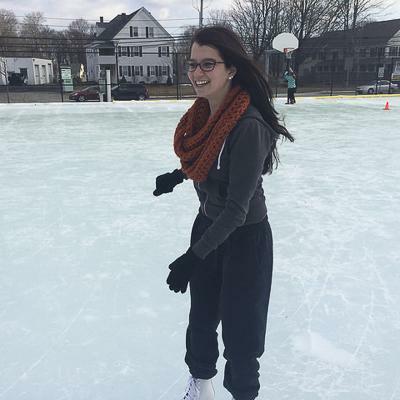 Christa Cosmo, senior at HHS, has plenty of time to skate now that a rink has been put in such a convenient location. Photo by Jillian Sullivan. â€œThey are great about sharing! Just the other day, my friends and I were skating and playing with a couple of other members of the team who included us in their game.â€ reported Wilson. â€œThe Ice rink is a fun and safe environment that keeps students active and gives them a chance to get to know each other!â€ Canty said. The ice rink is located at Hopkinton High School, 88 Hayden Rowe, on top of the basketball courts. Itâ€™s free to anyone for use.